Looting machinery & stocks, burning what they can’t carry and turning factories of Aleppo merchants into rubble, the only beneficiary is the Muslim Brotherhood government in Turkey to prevent Syrian merchants from competing Turkish goods. Another type of colonialism. 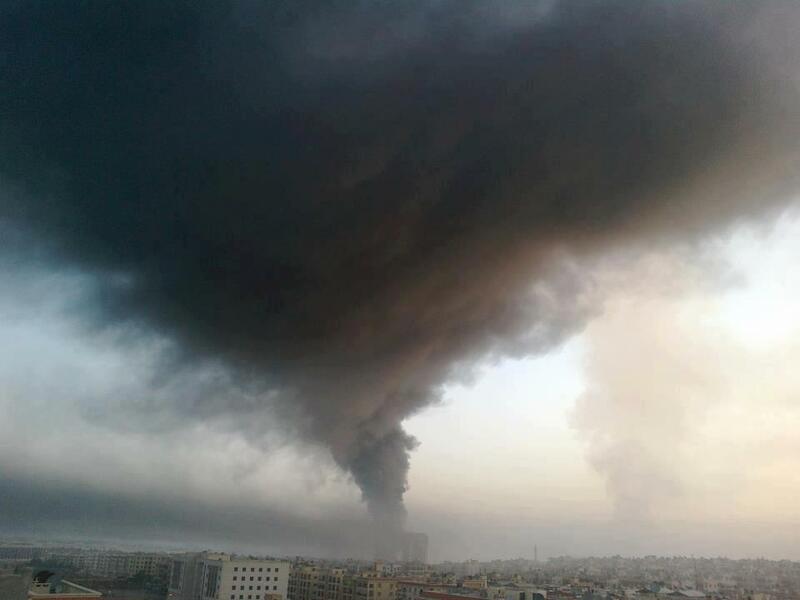 A cotton factory in Baillaramon, Aleppo burnt and huge smoke rising in the sky, to cover their attacks the FSA and their NATO propaganda machine claimed the attack targeted the Air Intelligence Bureau, which proved false, as usual. israel is so happy with the traitors inside Syria doing it free services in the name of ‘democratizing’ Syria.